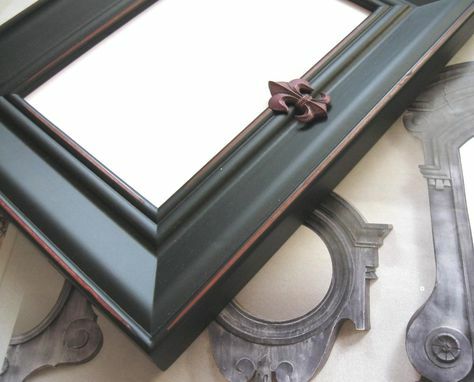 This elegant wooden photo frame has been painted a matte black and slightly distressed with accents of rusty brown, to create a Country French, vintage look. 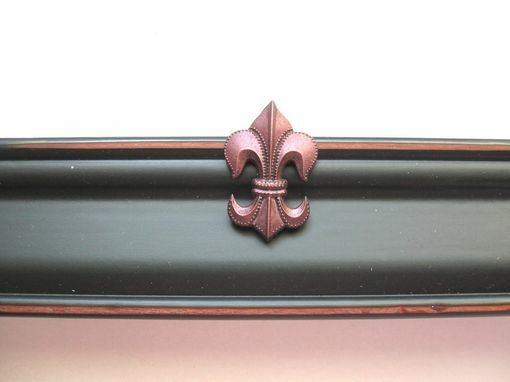 It has been embellished with a matching bronze colored French Fleur Di Lis charm. 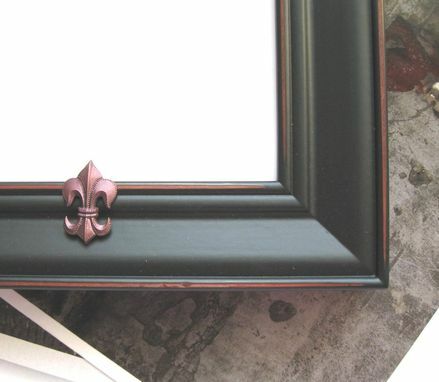 A perfect frame for a wedding announcement or Country French decor. 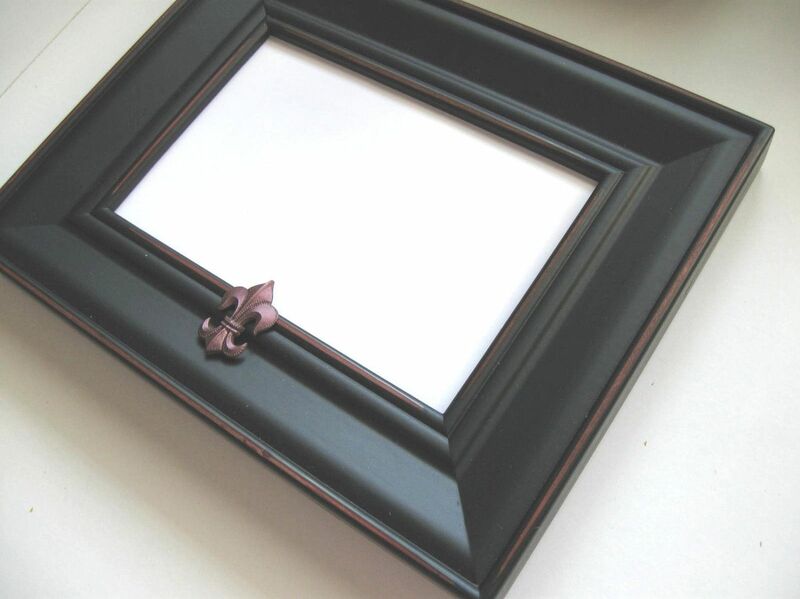 This frame may be hung or sit on a tabletop. 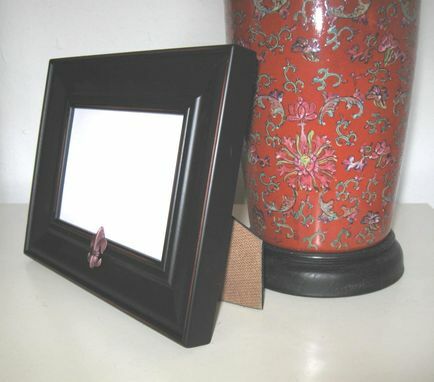 The outside dimensions are approximately 6.75" x 8.75" and the inside dimensions are 3.5" x 5.5" and comes with an easel back, hanging hooks (may be hung horizontally or vertically) and glass.